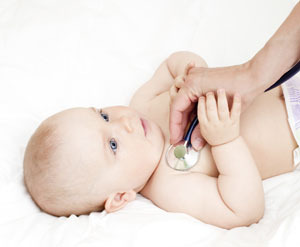 Babies are now seen in normal surgeries although there is a special clinic for 8 week check and 1st immunisations. Your Health Visitor will contact you regarding your child’s 3½-year check and you will receive a letter about pre-school booster injections. Generally carried out by a Practice Nurse. Please inform the receptionist when you are making your appointment that you will be having a smear test. We follow the local policy which advises a smear every 3 years, from the age of 25, unless the cytologist recommends repeating the smear more often or is medically indicated. We aim to review all patients who fall into any of the above categories on an annual basis. You should receive a review letter with your prescription, requesting you to make an appointment with either a Nurse or a Doctor. We strongly advise you attend for your review as this may prevent complications. Contraception. This is available from the Doctors in normal surgery times. We also offer nurse based appointments for repeat prescription of the pill for women who are not having any problems. We no long do Nexplanon (contraceptive implant) or remove implants. This is now done by the town wide "CASH" service upstairs in our One Life building. We are participating in a heart disease risk-screening programme. Depending on your risk factors you may be asked to come in for a short medical exam. Smoking cessation help and advice is provided in Hartlepool through the specialist Smoking Cessation Service. Please ask reception for details of drop-in locations or telephone 0800 0224332 for information and advice. People with learning disabilities have poorer health than the general population, yet are less likely to access healthcare. Mental illness, chronic health problems, epilepsy, and physical and sensory problems are more common and people with learning disabilities are less likely to receive regular health checks and access routine screening. Bankhouse Surgery offers annual health checks with people with learning disabilities. Please contact the practice for further information. Minor skin lesions and warts can be removed in the surgery. Some lesions are unsuitable for treatment at the surgery and may need to be referred for sopecialist treatment. Treatment of warts is now done in normal GP clinics and we no longer run specialist wart clinics. Please mention if an appointment is made for wart removal so the receptionist can ensure that the GP concerned has the appropriate equipment ready. Doctors carry out postnatal checks in normal surgery hours. Please see reception for a travel form. Once returning the form to reception please contact us from in a few days time of handing this form to see if you require any vaccinations. Vaccinations are available from our Nurses (by appointment only) during any of their clinic sessions. Please ensure plenty of time before departure as some vaccinations may need to be given up to 12 weeks prior to departure. Most vaccinations are free of charge. Children. 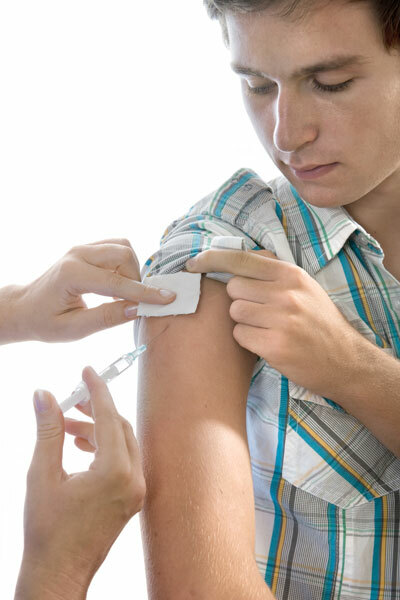 It is important that your children are fully vaccinated. This may be performed at either our baby clinics or exceptionally by appointment with the Practice Nurse. In order to facilitate record keeping, it is helpful that immunisations are undertaken by us and NOT in community clinics. If it is difficult for you to attend the surgery at the given times alternative arrangements can be made. Adults - Are You Up To Date With Your Tetanus And Polio? If you require routine vaccinations and travel immunisations please make arrangements to see the Practice Nurse. (See attached insert advice on immunisations). When you attend for a test of any kind you will be given an indication of when the results are likely to be available. We then ask that you contact us so that we may give you the results and advise you of any follow up treatment. Please note that the Receptionist can only give results to patients once the Doctor has checked the result and given authorisation. In order to maintain patient confidentiality, results can only be given to the patient themselves, unless they are under the age of 16 years. This decision has been made by the GP's in order to improve patient safety. Please speak to a member of reception for advice if you have any questions. EXPECTIONS - Samples will be accepted as normal when it has been requested by a nurse or GP for investigation or an annual review such as diabetes, kidney disease etc. Vibrating Pager Devices are available at reception for the benefit of our patients who have hearing or sight impairments. Please enquire at the reception desk. If you haven't been referred to Healthier You but you're interested in the service, the first step is to check if you're at high risk. Visit the 'Know Your Risk' tool at www.diabetes.org.uk/risk and find out if you are at risk of getting Type 2.